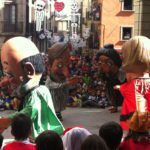 This is one of the most popular celebrations in Solsona, and it has contributed the most to projecting the town’s national image. The Carnival was declared a feast day of national tourist interest, and it is distinctive because of its originality. 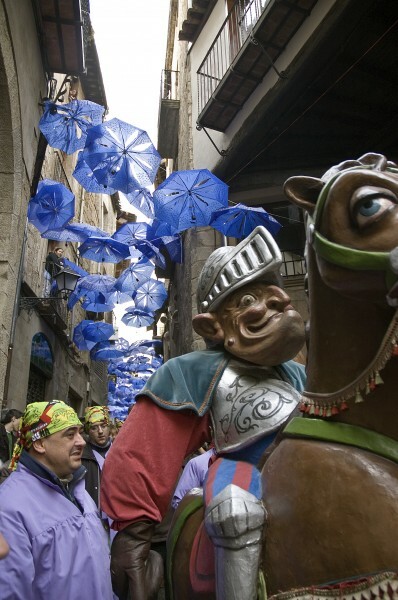 Traditional fancy dress outfits have been replaced by aprons in a myriad of colours, and “mad giants”, who along with the hanging of the fake donkey and the satirical speech, are the most singular elements of the Solsona carnival celebrations. 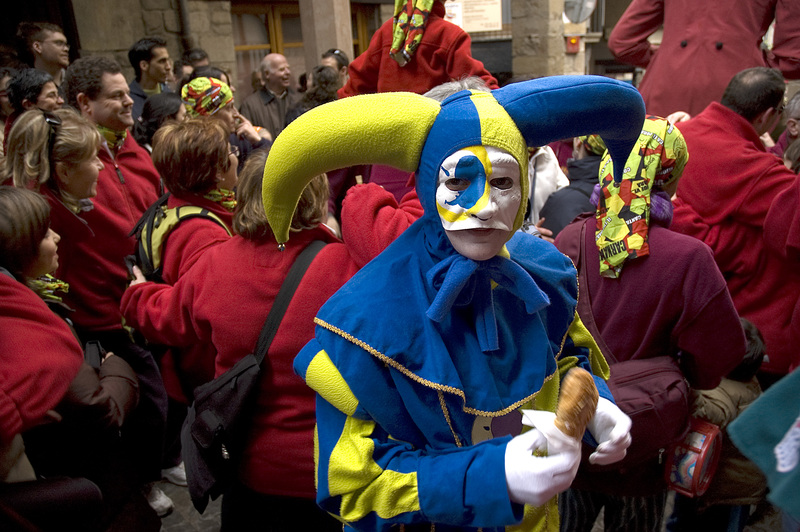 Carnival in Solsona was recovered in 1971 after several decades of inactivity. 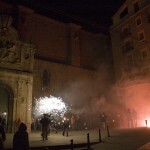 The reason for this inactivity being the situation Spain found itself in after the Civil War. The aim of this celebration was to take ourselves less seriously and to mock the status quo. Politicians, the police, Church… or basically anyone holding a position of power was the aim of all kinds of jokes and puns. 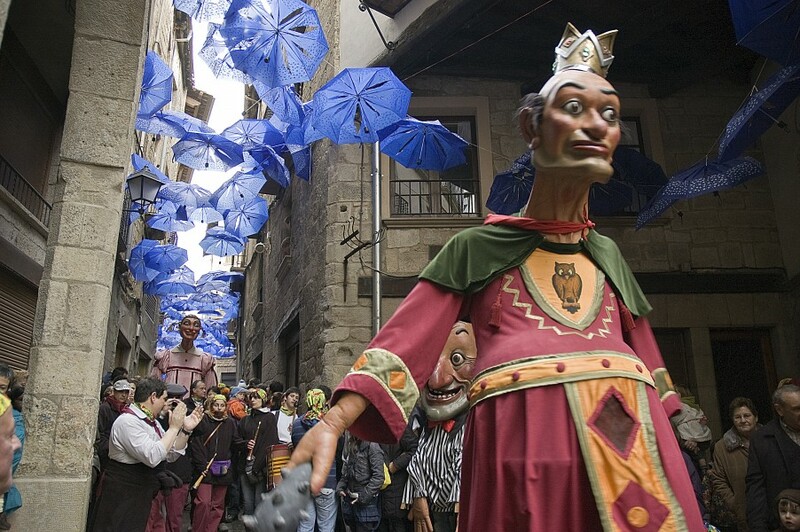 We can’t talk about our carnival without talking about Giants. 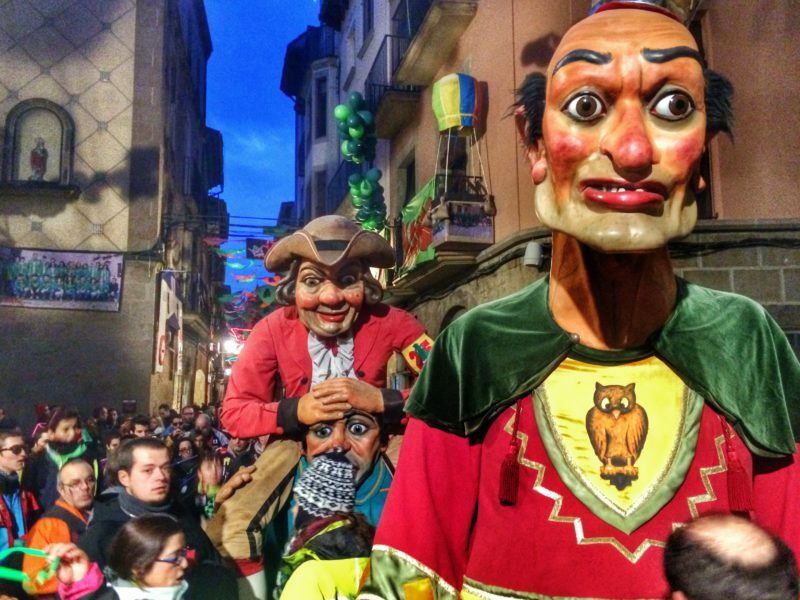 They are peculiar human-like figures (they’re between 8 and 10 feet tall) that dance to the sound of El Bufi, which could be considered the anthem of the Solsona Carnival. 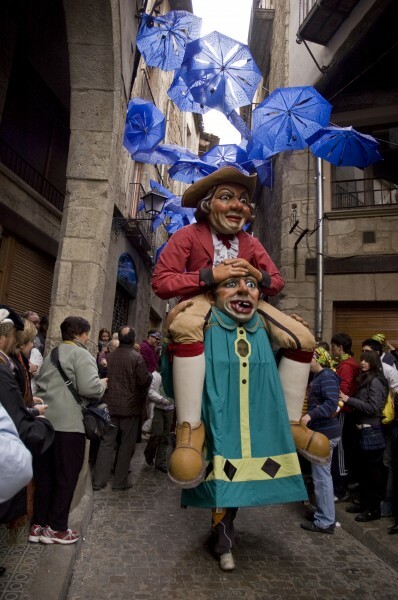 The carnival giants were made with the goal of mocking the Festa Major giants, which have been around since medieval times. 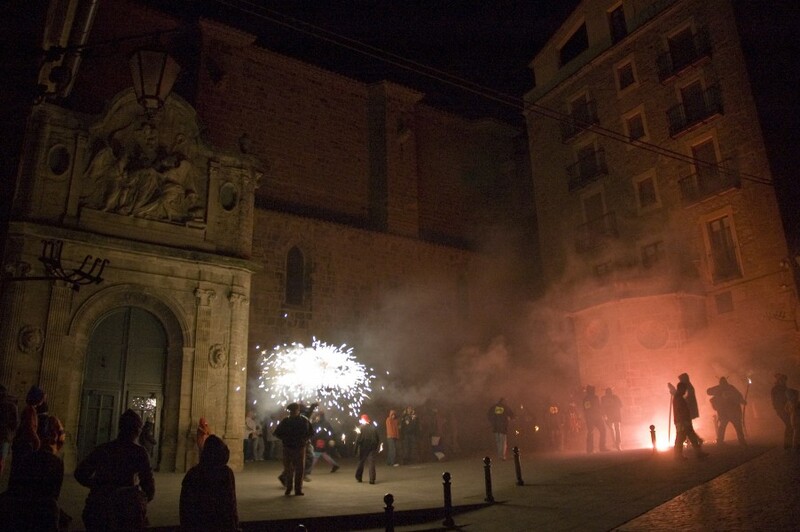 For instance, the Dragon is one of the 3 oldest in Catalunya. 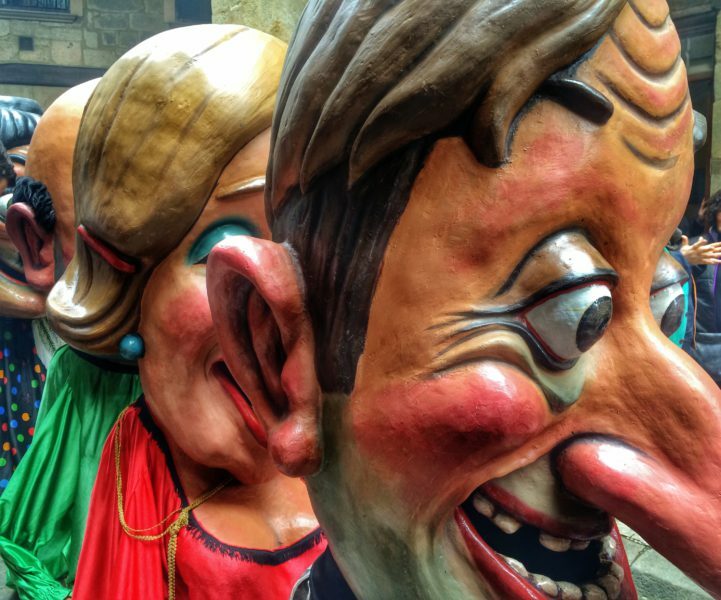 With the Festa Major being such a solemn celebration, carnival became the perfect opportunity to joke about its seriousness. 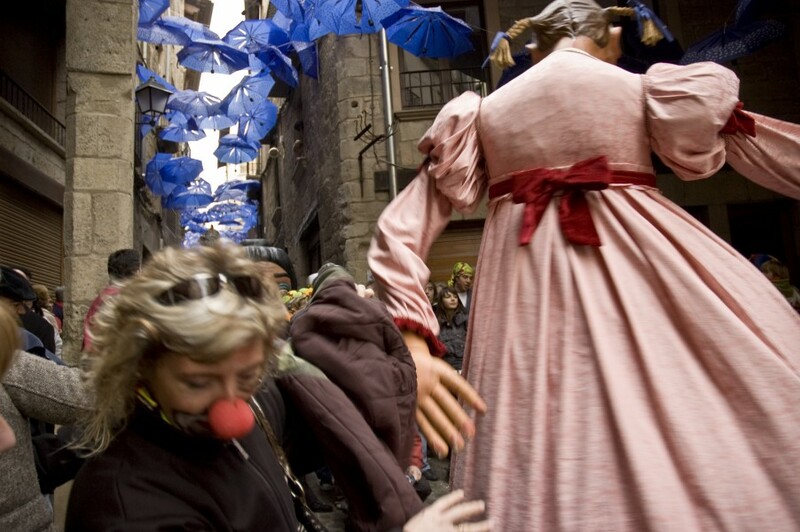 The carnival giants’ most famous feature are flexible arms, which they use to hit people (don’t worry they’re not going to hurt you) as they dance along the streets. It’s worth mentioning that each of them has their own song and their own dance. 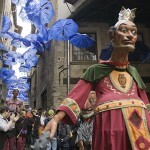 Most of them bear the hallmark of the Folklore giant artist Manel Casserras. 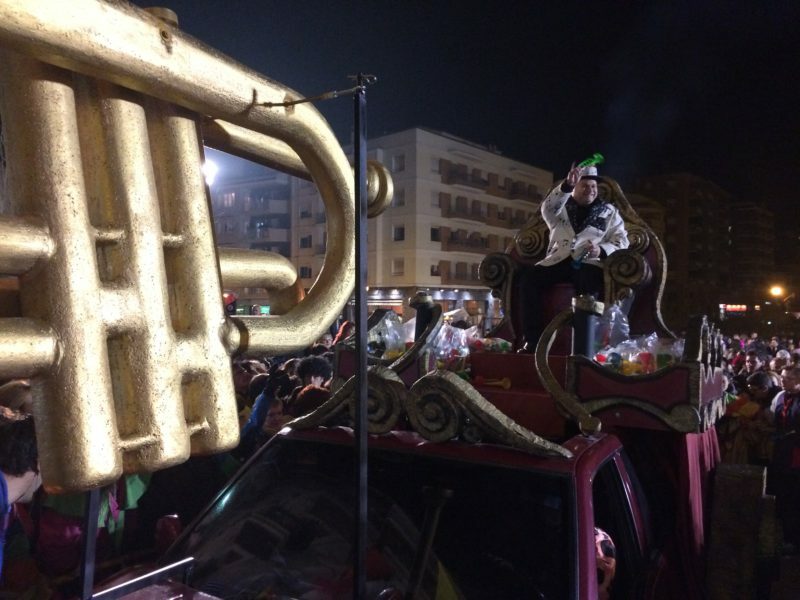 After his unfortunate death, this tradition was carried on by his son first, and his granddaughter later. 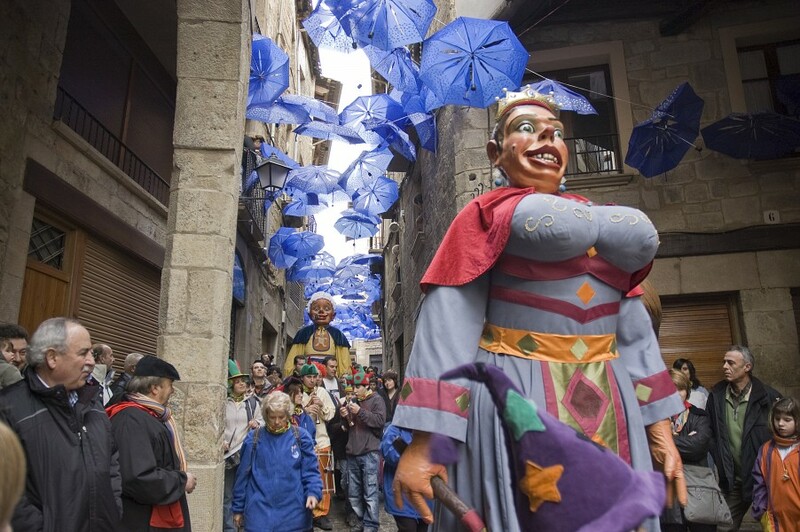 Thanks to such artists, Solsona became one of the towns with the most giants per square meter. 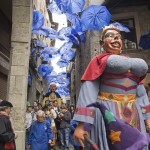 In fact, there are more than 25 not counting the Festa Major giants. 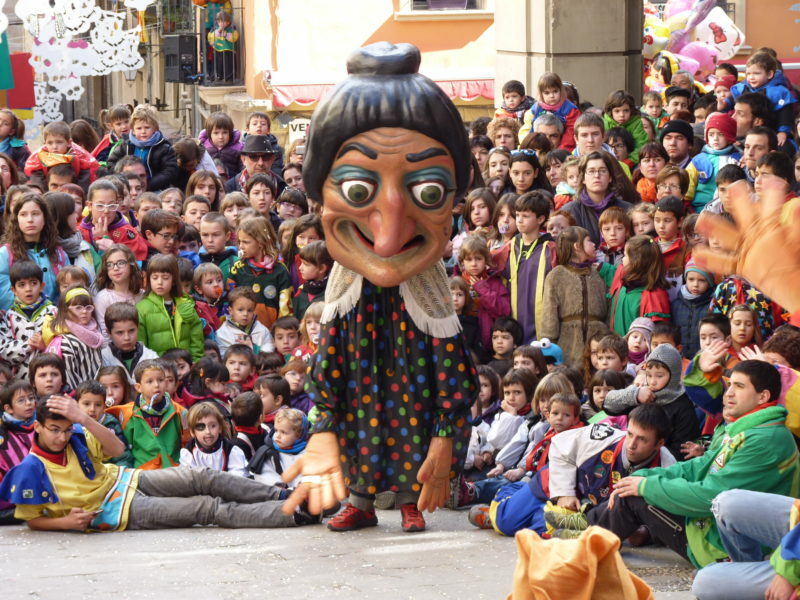 One of the main features of the Solsona Carnival are the Comparses. They are groups of people that wear the same uniform, which we call Bata. 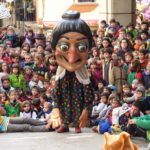 Each Comparsa has its own name and wears its own colors. 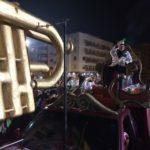 It is important to mention that they are an essential part of the carnival, as they help organize and participate in the vast majority of activities that take place during carnival. 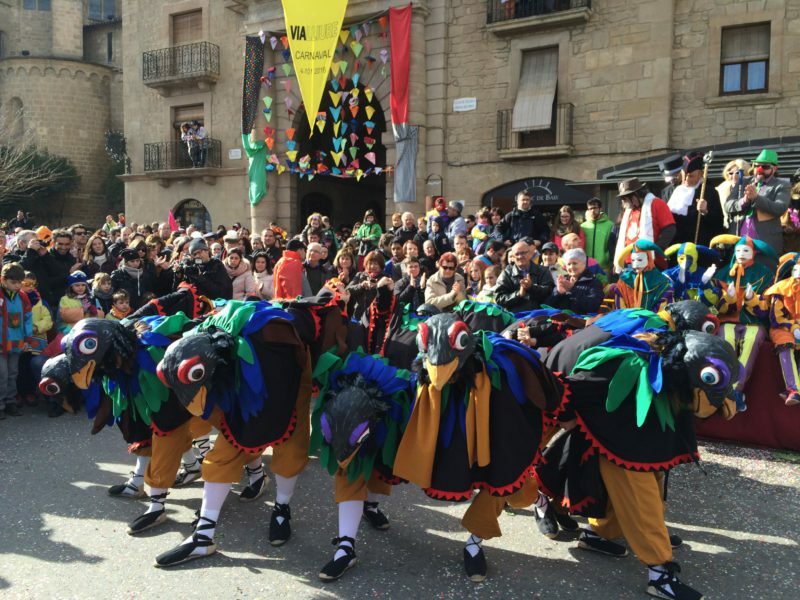 People in Solsona only wear costumes to the parade and costume party. It’s worth noting that they wear their Bata during the whole duration of the carnival. 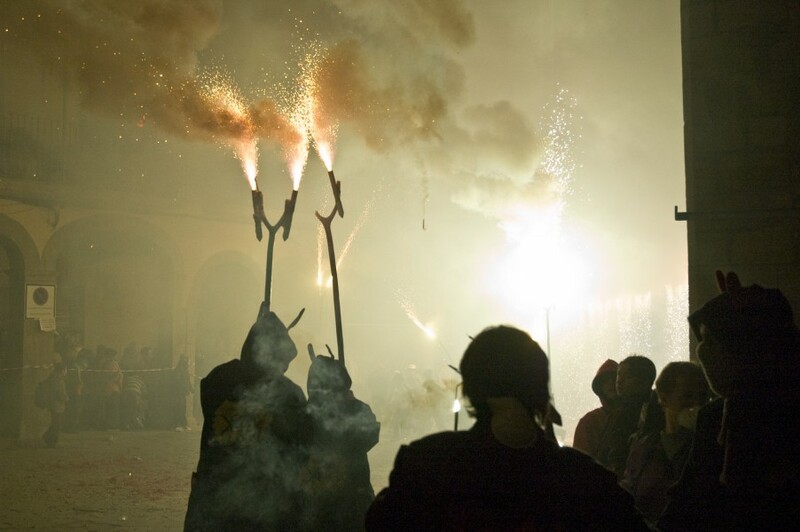 People from Solsona are called matarrucs (donkey killers). 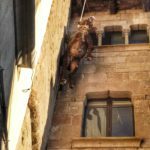 The legend tells that a hungry donkey was once hoisted with a rope tied around its neck to the top of the bell tower so it would eat the grass that was growing there. As you would imagine, the result was not what locals expected. Having said that, if you love donkeys don’t get too upset, as this is only a legend and it’s not believed to be true. 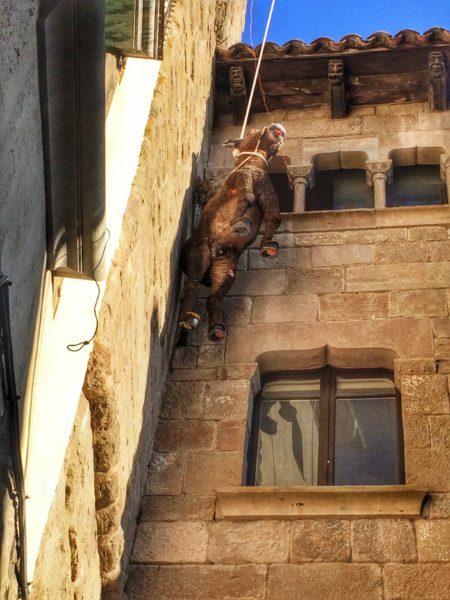 Nowadays, a fake donkey is hoisted to the top of the bell tower every year. 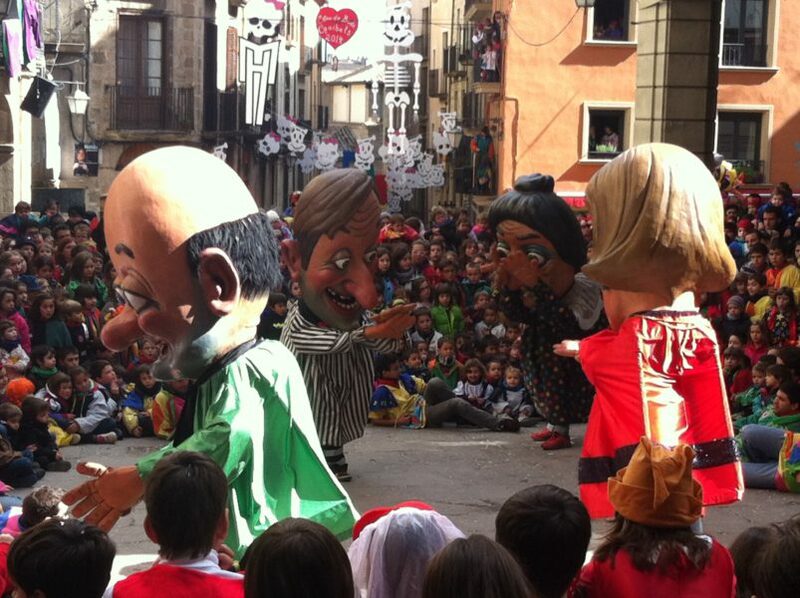 This is one of the most emblematic activities that takes place in Solsona during carnival. 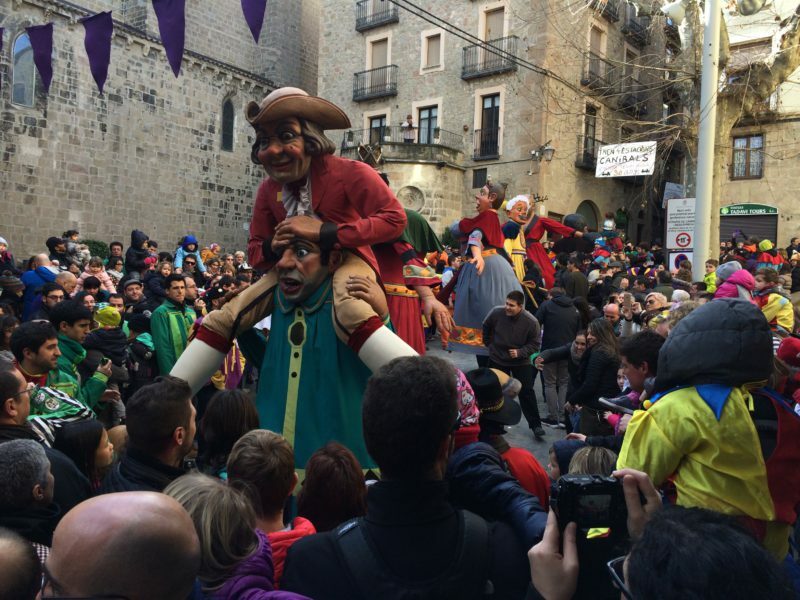 During carnival, a parade is thrown in Solsona. But make no mistake, this is no like any other parade you might see out there. 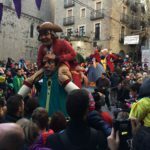 The Comparses dress up and march for everyone to see, but its true purpose is the arrival of the Carnestoltes (king of carnival). 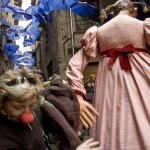 In Solsona, we have a different Carnestoltes each year, and they happen to be a well-known person in our town. If you have children, you don’t want to miss this. 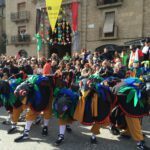 In Solsona we don’t forget about the youngest ones. Every year, there’s one day that’s fully devoted to the children. 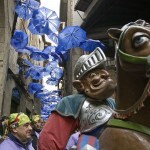 It features small versions of the Giants, a small version of the donkey and activities for kids. Although it is during the winter, people eat a lot of meals on the streets. There are even a couple of occasions where tables are set up on Major Square and people eat together. Whether it’s the typical Callos amb seques (tripe with white beans) or just a rice dish, you will be able to sit down and enjoy the company of the locals. Also, there are many places where you can buy takeaway food so you can continue to enjoy your carnival experience without missing a thing. 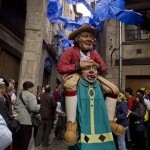 Dimecres de cendra (Ash Wednesday) is the last day of carnival. 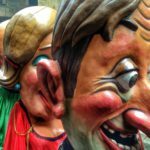 It’s the day we bid farewell to our beloved Carnestoltes. 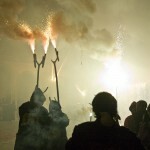 There is a firework display and after that the Giants dance until midnight. 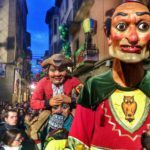 After seven days of celebration the carnival is over, it is now time to get some sleep and start counting down the days until next year’s.